This is probably the only time I've had the lunch to-go portion actually look tasty after 20 minutes bathing in its own steam in the cracked pleather passenger seat of my 1993 Chevy Lumina. I always feel really bad when an OG dish looks bad because of my irresponsibility, but I try to realistically portray the dish as an average customer would receive it, not just the glossy, flat photographs of menus and magazines. 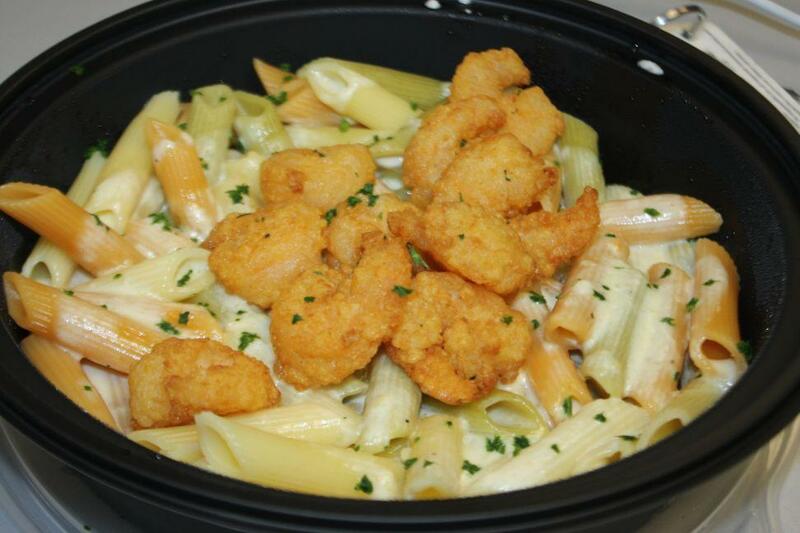 Pictured here is Penne Arcade, looking as good as it tastes!